Luke Evans will be the mysterious man! After starring with great success and critical acclaim in TNT's The Alienist period set television series earlier this year our favourite Welshboy Luke Evans is staying on the small screens! He has just joined a new Netflix comedy movie MURDER MUSTERY which already has Jennifer Aniston and Adam Sandler who plays a New York cop who finally takes his wife (Jennifer Aniston) on a long promised European trip. But a chance meeting on the flight with a mysterious man (Luke Evans) gets them invited to an intimate family gathering on the super yacht of elderly billionaire Malcolm Quince. When Quince is murdered, the couple become the prime suspects in a modern day whodunit. Speaking of castings, Disney's live action MULAN has found her love interest! As 'Deadline' reports today New Zealand native Yoson An (you will watch him this year in Jason Statham's The Meg and Peter Jackson's Mortal Engines) has joined Disney’s live-action MULAN film as her love interest, Chen Honghui, a military recruit. As I've informed you earlier Liu Yifei is playing the title character with Jet Li, Gong Li, Ron Yuan, and Donnie Yen already in the cast! Just as the famous animated version from 1998 the live action movie will also be based on the Chinese legend of Hua Mulan, following the rise of Mulan during the Han Dynasty when the daughter of a legendary warrior impersonates a man to fight against a Hun invasion. The pic ain't coming out any time soon, though, as the release has been set for March 2020! Dragons will fall in love next Spring! HIDDEN WORLD TRAILER IS OUT! 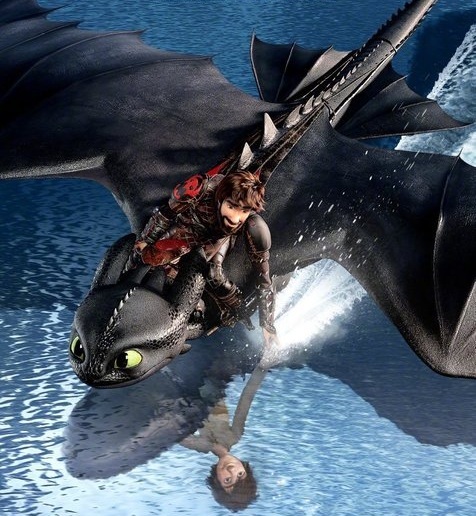 But the main treat today is the first trailer for the third instalment of the popular animated saga HOW TO TRAIN YOUR DRAGON 3: THE HIDDEN WORLD which sees an all grown up, and rather handsome indeed, Hiccup! As Hiccup fulfils his dream of creating a peaceful dragon utopia, Toothless' discovery of an untamed, elusive mate draws the dragon away. When danger mounts at home and Hiccup's reign as village chief is tested, both dragon and rider must make impossible decisions to save their kind. Jay Baruchel, Cate Blanchett, Gerard Butler, Kit Harington are in the voice cast for the movie that will soar into the skies next March! Aniston and Sandler were partners in a previous movie, and the rumor had it that they earned millions. Awwwwww! Toothless is in love! Hurray for a new Dragon film. It’s one of our favorite franchises. agreed on Aniston and Sandler. 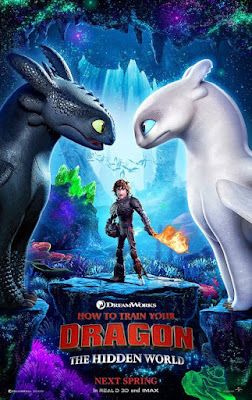 I loved the first Dragon and fell asleep five times to the second one, so I hope the third one will be more dynamic and shorter. We watch the Christmas one every year. The second one was a bit of a drag, but I think we were really irritated that they killed off his dad. Hopefully, the 3rd one has some redeeming qualities. they killed his dad so that he can become the chieftain in this one, but it was sad and the story about his mother was just too dragged out. I love it when animated movies are dynamic and straight to the point without boring moments and parts. Cool, I would watch a live action Mulan film!